From acclaimed author David Corbett, a stunning and suspenseful novel of a life without loyalties and the borders inside ourselves. Roque Montalvo is wise beyond his eighteen years. Orphaned at birth, a gifted musician, he’s stuck in a California backwater, helping his Salvadoran aunt care for his damaged brother, an ex-marine badly wounded in Iraq. When immigration agents arrest his uncle, the family has nowhere else to turn. Roque, badgered by his street-hardened cousin, agrees to bring the old man back, relying on the criminal gangs that control the dangerous smuggling routes from El Salvador, through Guatemala and Mexico, to the U.S. border. But his cousin has told Roque only so much. In reality, he will have to transport not just his uncle but two others: an Arab whose intentions are disturbingly vague and a young beauty promised to a Mexican crime lord. Roque discovers that his journey involves crossing more than one kind of border, and he will be asked time and again to choose between survival and betrayal—of his country, his family, his heart. 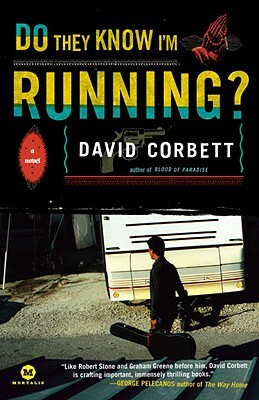 David Corbett is the author of three critically acclaimed novels: The Devil's Redhead, Done for a Dime""(a "New York Times" Notable Book), and Blood of Paradise--nominated for numerous awards, including the Edgar, and named one of the Top Ten Mysteries and Thrillers of 2007 by the "Washington Post" and a "San Francisco Chronicle" Notable Book. His short fiction and essays have appeared in numerous periodicals and anthologies, and his story ""Pretty Little Parasite,"" from "Las Vegas Noir," was selected for inclusion in Best American Mystery Stories 2009.